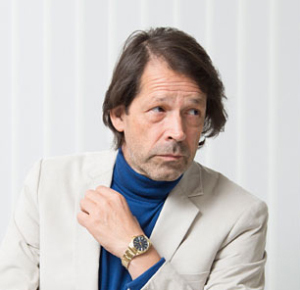 Peter Saville’s images have permeated contemporary culture. As a founder of Factory Records he was instrumental in bringing the tropes of high Modernist culture to a mass audience who would never otherwise have engaged with avant-garde imagery. His radical designs, most notably for Joy Division and New Order, seemed to break all the rules, omitting information about artists or titles, fundamentally questioning modes of consumption and advertising. His recent work straddles design, art and culture. From 2004 to 2011 he was creative director for the City of Manchester. The izé range is based on Renaissance typographical motifs, ‘fleurons’ and translates their resolutely two-dimensional form into a tangible, tactile object, an original blend of the graphic and the haptic. ble, tactile object, an original blend of the graphic and the haptic.